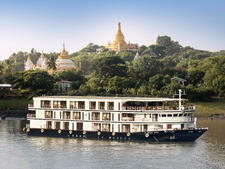 Launched in 1993 and refurbished in 2009, Sanctuary Sun Boat III is a 197-foot-long river yacht with four decks that carries 36 guests. 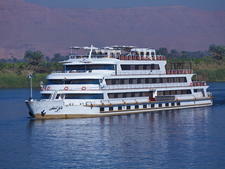 The ship sails the Nile River in Egypt between Luxor and Aswan. 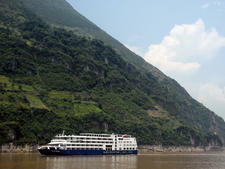 The ship has 18 cabins, including two Royal suites and two Presidential suites. All cabins have a Nile view and include a mini-bar, safe, a CD player, LCD television with satellite/in-house movies and individual climate controls. International telephone access is available through reception. The private bathrooms have a bathtub, shower and hair dryer. Standard cabins are 56 square feet. The Presidential suites are 95 square feet and feature private balconies. King, queen and twin beds are available. 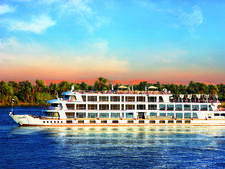 Onboard activities include an Egyptian cooking lesson, an Egyptian costume party featuring a traditional meal and performances by belly dancers and Whirling Dervishes. The upper sun deck, known as "Cleopatra's Oasis," has a swimming pool, a shaded area, a lounge and a bar/lounge. The ship has a game room with a computer and internet access. Complimentary Wi-Fi is also available in the public areas.